BTFC host St Albans City at the AGP Arena on Bank Holiday Monday August 27th. 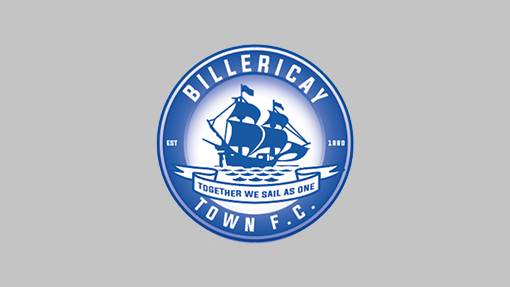 With the shock of a defeat on Saturday at Chippenham Town for the Billericay supporters to take on board, the match represents a chance for the Blues to show the fans that the team is back on track. After six matches, Billericay sit third in the League behind leaders Woking and early pace-setters, Concord Rangers. St Albans City travel to Essex in poor form having made a muted start to the season with two wins, three losses, and, most recently, a 1-1 draw away at Eastbourne Borough, leaving them in 16th position. Both victories – away at Weston-super-Mare and at home to Hungerford Town – were by the same score line (3-2) versus sides struggling in the lower reaches of the League. St. Albans ended the 2017-18 campaign in a creditable 8th position. If not for a poor run-in, featuring four defeats in the last five games, it could have been better. Ultimately the Saints ended up just one place and four points below the play-off spots. Current St Albans manager, ex-Arsenal striker, Ian Allinson, took over in the dug-out in February 2016. This followed a 10 game spell in charge for our own Harry Wheeler who stepped up to the hot seat as caretaker manager in December 2015. Wheeler, who hails from St.Albans, had previously spent three years as Head Coach at the club. In terms of recruits for 2018-19, the Saints have taken on board lessons learnt from the last campaign and moved to address defensive weakness, which saw 58 League goals conceded. In from Bostik Premier side, Hendon, comes the experience of Dave Diedhiou, 29, who is best known as a defensive midfielder but can also hold his own at centre-back. At left full-back, Allinson has brought in Ben Wyatt ,22, who featured regularly for last year’s National South play-off winners, Braintree Town. A late, but promising, addition to the squad is centre-back, Richard Sho Silva, 26, recruited from Dartford, who provides physicality at the back and scored on his full debut v Oxford City. New faces up-front include Ralston Gabriel, 27, who fired 32 goals last season propelling Haringey Borough into the Bostik Premier via the play-off’s. Any concerns on the two division step-up-have been put to rest for now with four goals in the first six League matches. Zimbabwean striker, David Moyo, 23, joins from National South rivals, Hemel Hempstead. Moyo has begun strongly for Saints with a stunning goal v Woking on debut and has started all but one of the early season matches. In reserve, pacy winger Khale da Costa has been signed from Concord Rangers although his starts have been limited to date to filling in as wing-back on either flank to cover for injuries/suspensions. Key performers retained from the last campaign include leading scorer, Sam Merson, who hit the back of the net twenty times last season. Attacking midfielder, Zane Banton, with nine goals in 35 starts, also penned a new deal over the summer. At the back, former England U-19 goal-keeper, Dean Snedker, centre-back, and last year’s Player of the Season, Tom Bender, and experienced right-back, Ben Herd, all take their places in the starting X1 for the 2018-19 season. Within central midfield, we expect the blend of intelligent passing from ex-Bristol City and Exeter City man, David Noble ,36, to complement the industry of ex-Fulham youth and young prospect, Solomon Sambou. It is fair to say that similar deficiencies to the previous campaign have endured despite the switch to a 3-5-2 system aimed at providing extra defensive solidity. With 13 goals conceded in six games, defensive issues remain a concern and are not helped by Diedhiou’s unavailability through injury. On a more positive note, the Saints are still firing at the top end of the pitch. With three good options to select for two starting forward roles, scoring goals this season has not been a problem for the Saints. After the poor result at Chippenham, there may be changes made to the Billericay team with the overall performance being below par. With two games in three days, option such as Jake Howells and Alfie Potter – both on the bench on Saturday – could be in line for starts. Ricky Modeste, who has been out injured, may be available for selection on Monday. Up front, we expect to see top scorer Jake Robinson accompanied by any one from Coombes, Cunnington, and Emmanuel. 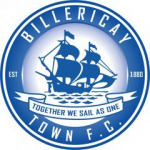 With Billericay having something to prove after incurring their first defeat of the season, and Harry Wheeler taking on his home-town club, we expect a lively and exciting game. A trip to current leaders, Woking, lies ahead next Saturday so three points v St. Albans are exactly what is needed. Billericay Town: L, W, W, W, D.
Leading Scorer: Jake Robinson, 8 goals. St. Albans City: D, L, L, W, L.
Leading Scorer: Ralston Gabriel, 4 goals. St Albans City’s 1-1 draw with Eastbourne Borough was actually a home game not away as twice quoted on this site. A minor error but it would be nice to get it right.